Submitted by firemoon21 on Sun, 09/14/2008 - 23:28. Im looking for a clean 100 watt tube head. With lots of head room. I dont care about a gain channel as much since I will be using pedals for the gain. I want the clean side to be clean for some country stuff. Any suggestions? Posted by marantz1300 on Fri, 04/24/2009 - 15:22. 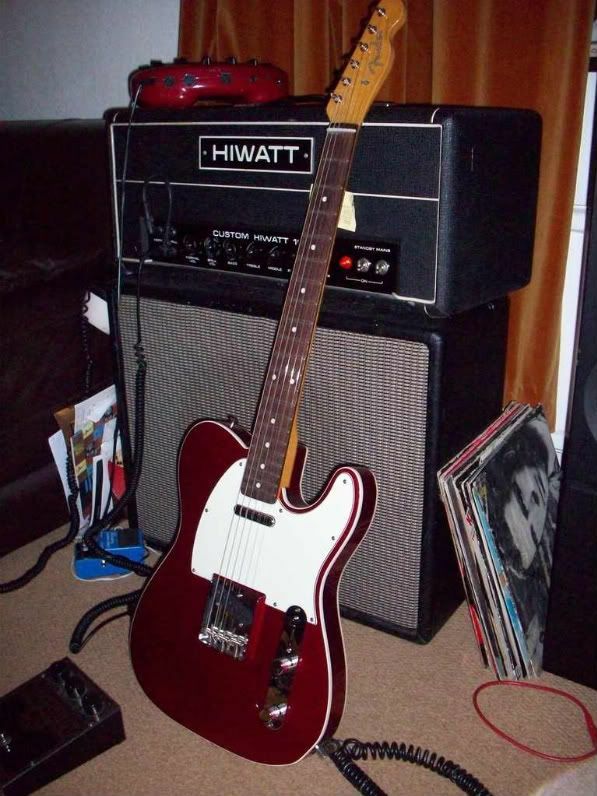 Try a Hiwatt. Great cleans, I cant get a bad tone out of it .I have a 74 DR103 and it is brilliant with pedals. It lets the all the tone shine through. Think Gilmour. Pedals that sound dull,mushy or plain horrible through my Boogies sound fantastic through the Hiwatt. Posted by 1bassleft on Sun, 04/26/2009 - 23:19. I'm amazed that I missed this thread back in September but completely agree with the above reply; Hiwatt. Either the originals or (if you don't feel comfortable with 2nd hand) the reissues. There are cheaper alternatives that involve a little effort; namely, getting an old valve PA and having the tone controls revoiced to suit guitar. Not all valve PAs were particularly clean but the Simms Watts should be and the Selmer PA100 I have has brutal horsepower coming out without distortion, just a valve "feel".